This listing is for a 2 piece SUIT (jacket and pants). 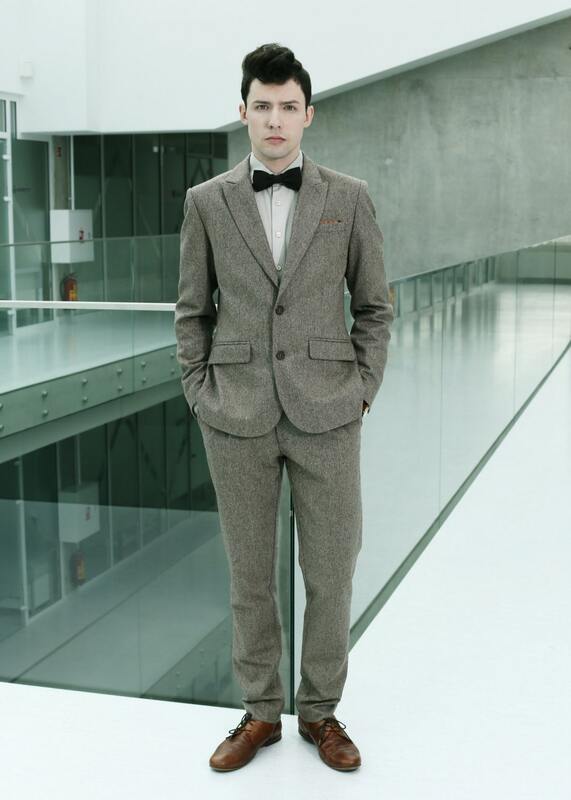 If your style falls somewhere between sophisticated and casual, take a look at this 2 piece tweed suit (jacket and pants) for everyday or a special occasion. 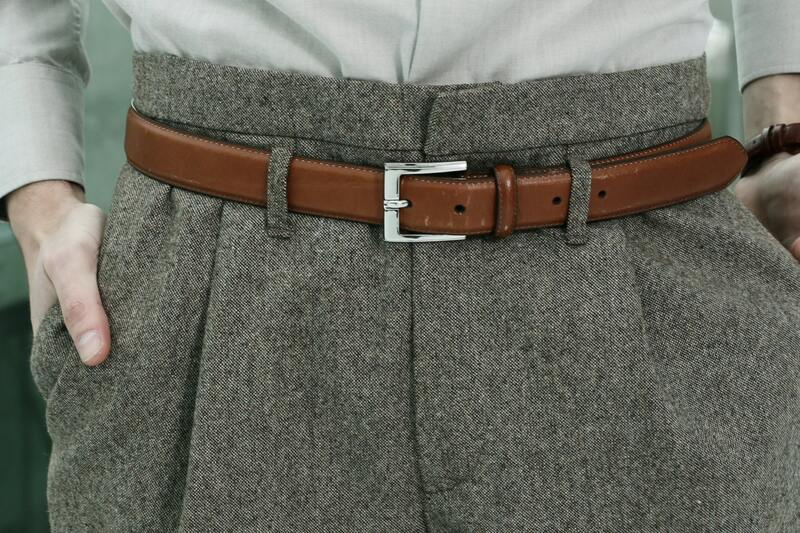 Medium weight wool (80%) and polyamide (20%) blend tweed in earthy brown and cream mélange color. 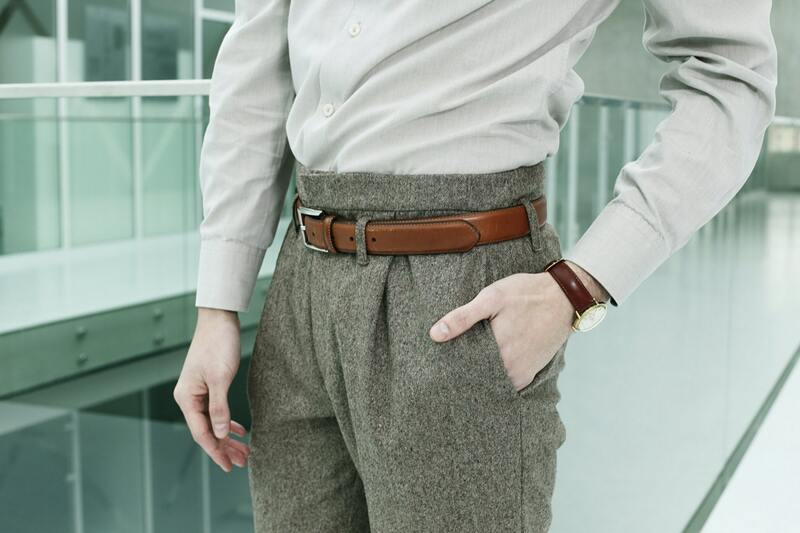 Understated sartorial elegance where details give beauty to the functional! 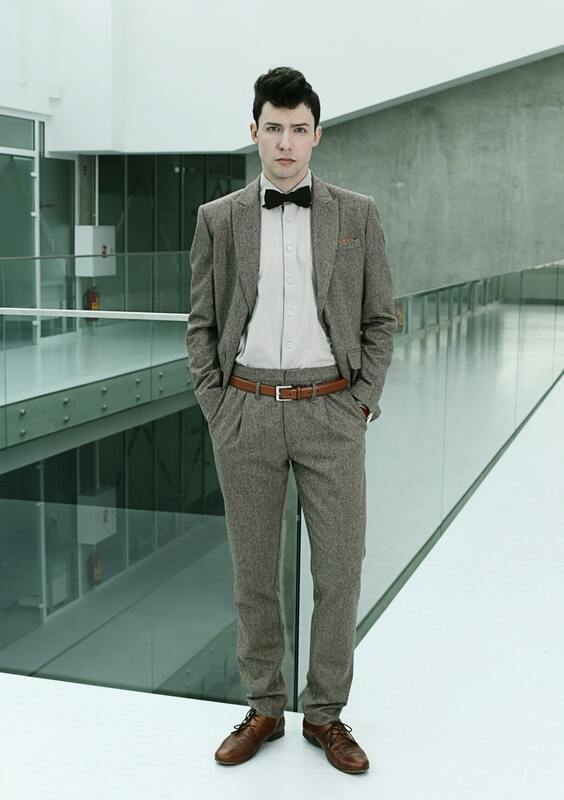 PANTS/TROUSERS feature front pleats and out-of-ordinary higher waist with lowered belt-loops. Sleek button-less rear welt pockets, hidden hook and bar fastening. 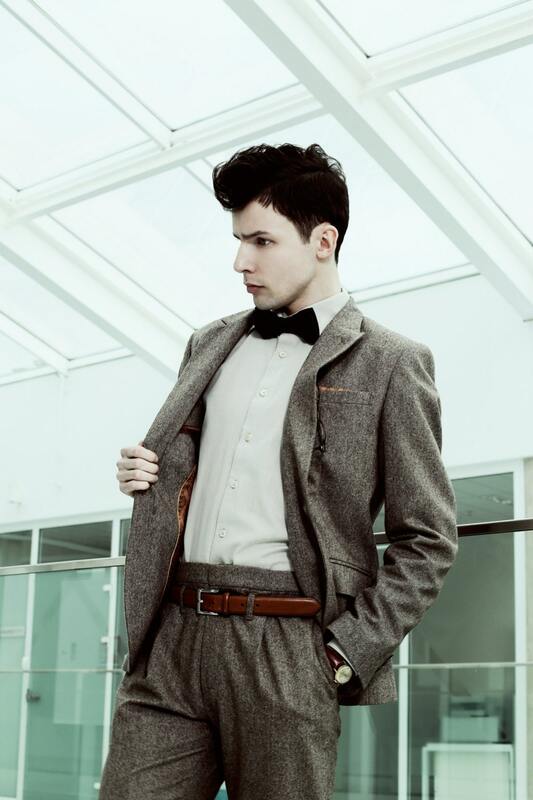 The single-breasted BLAZER/JACKET features two button closing, single chest pocket with built in pocket square (which you can also hide), two flap pockets, buttoned sleeve cuffs, single back vent and fully-lined interior and inner pockets. Please always check the actual measurements of the size. Only choosing by size number might be misleading as different brands have different measurements for the same size number. If you have doubts about choosing the right size, please contact us for advise! SHIPPING. We ship globally. Our couriers are DHL Express (for orders above 150$ USD) and Lithuanian National Post (for orders below 150 $ USD). Important: Please include your phone number ( via the Note to seller) in case courier needs to contact you before the delivery. TRACKING. Tracking is available for all orders above 30 $ USD. If your order is smaller, we advise to buy tracking additionally (3 $ USD) via special listing in our shop. Please refer to the courier name and tracking number included in your shipping notification. National post: http://globaltracktrace.ptc.post/gtt.web/ or use national courier in the country of destination, for instance USPS, Canada Post, Australia Post etc. Important: tracking service is NOT an insurance. If you want your parcel to be insured, please contact us. Rest of the world: 3-5 weeks. We dispatch all orders within 1-3 business days. Parcels are delivered within business days. CUSTOMS, OTHER TAXES & DUTIES. Maple propeller is based and ships from Lithuania, European Union. Any customs duties and/or local taxes are the buyer’s responsibility. No additional taxes apply for customers from the countries of European Union. As of March 26, 2016, non-taxable value is 800 USD for USA, 1000 AUD for Australia. -	Items can be returned/ exchanged within 14 days of receipt. -	Prior to returning/exchanging the item, you have to contact us via private ETSY message or email at info [!at] maplepropeller.com and receive the authorization for return/exchange and information if the item for exchange is available. -	You have to dispatch the returning item(s) within 14 days from the date of authorization for return received from us. -	Returning goods must be shipped with the service providing a tracking number. We are not responsible and will not exchange/refund damaged or lost goods in transit. The Buyer covers the cost of the return/exchange shipping. -	When filling out the shipping and/or customs form, clearly mark “RETURNED GOODS”. -	IMPORTANT! When returning the goods, please include the original invoice. If the returned product is not shipped back following the above instructions we may be forced to reject the return or deduct any additional administrative fees or customs fees from your refund. If the item for exchange is not available in the same design, we will offer other designs or refund. We will inform you about it upon initial contact, prior to giving the authorization for return/exchange. NON RETURNABLE ITEMS: We cannot accept returns or offer exchanges for the custom orders and items that were altered to your individual fit. Exchanged items are shipped using Lithuanian National Post services and delivery times are: USA, CANADA: 2-4 weeks; European Union 1-2 weeks; Australia 3-5 weeks; Rest of the world: 3-5 weeks. We refund only the price of the item, not the shipping cost. Once returning item is received and inspected, we will send you a message to notify you that we have received your returned item. We will also notify you of the approval/rejection of the refund. If it is approved, the refund will be processed via Paypal within 15 business days from receiving returned goods to the account the original order was paid from. DAMAGES: We use sturdy padded envelopes for packaging and shipping your items. We cannot be hold responsible for damages incurred during shipping. Always inspect for damage at the time of receipt and report it to your local shipping provider as soon as possible. Please inform us if you wish to arrange insured shipping for an additional cost. NON-DELIVERIES, LATE DELIVERIES, LOST & UNCLAIMED ITEMS. If your order does not arrive within the time noted above, please contact us and we will assist in search for the item. We can apply for the search with the shipping provider when the given delivery time passed. It might take from 2 weeks to 3 months for the item to be located or declared as lost. Important! Search of an item is only possible if your order has a tracking number. If parcel is delivered after date, we cannot be held responsible and cannot provide compensation. If addressee was not available during the scheduled delivery, usually parcels are kept in the local post office for approx. 30 days. If the parcel is not collected within that period of time, parcel will be returned to the sender. We do not re-send the unclaimed items unless you contact us and cover the repeat shipping.